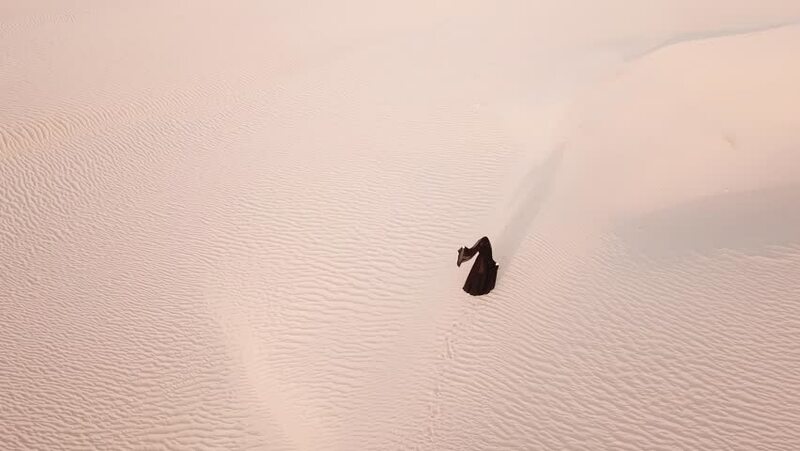 A woman in abaya (United Arab Emirates traditional dress) and her shadow walking on the dunes in the desert as viewed from above from a drone. Dubai, UAE. hd00:09A woman walking on a sand dune during sunrise as viewed from a drone. Liwa desert, United Arab Emirates. 4k00:34Young woman in a white summer dress walking up on the side of a dune on a sunny afternoon. Abu Dhabi, UAE. hd00:14Two women walking on a sand dune during sunrise as viewed from a drone. Liwa desert, United Arab Emirates. 4k00:12Young beautiful Caucasian woman walking in a traditional Emirati dress - abaya in Empty Quarter desert landscape. Abu Dhabi, UAE. hd00:15Two women walking on a sand dune during sunrise as viewed from a drone. Liwa desert, United Arab Emirates.